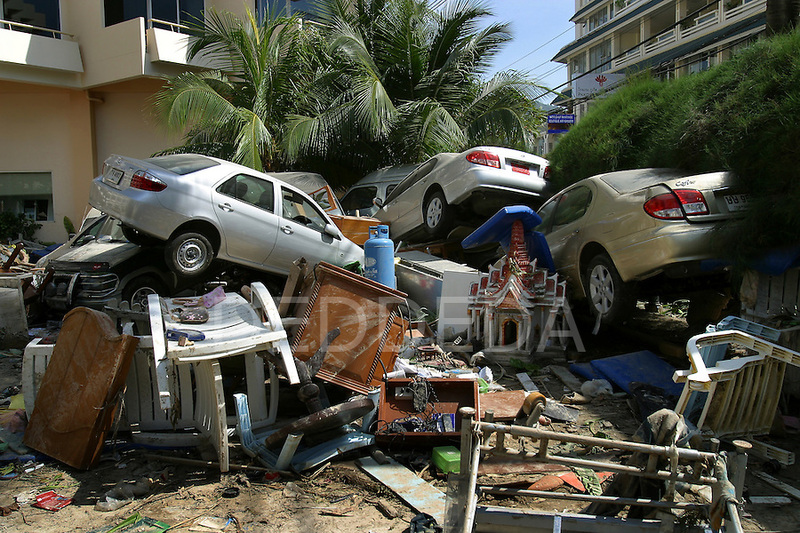 Vehicles and debris that were washed up with the tsunami remain piled up in the parking lot of the Holiday Inn located at the popular tourist destination of Patong Beach on Phuket Island, Thailand, two days after the tsunami ravaged the West Coast of Thailand. On December 26, 2004, a major earthquake generated tsunamis that ravaged coastlines from Southeast Asia to Africa. Approximately 275,000 people were killed and tens of thousands were left homeless, making it one of the deadliest natural disasters in modern history. ..